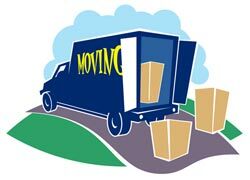 Moving home is a very costly exercise involving major expenditure on things like estate agent fees, stamp duty, removals costs and solicitor fees. Before taking on the challenge you should probably ask yourself if you absolutely ‘have to’ move or could you extend or refurbish your existing home. In many EU countries renting a home is the norm (and can sometimes be cheaper than ownership) although in the UK it seems to be most people’s aspiration to own their own home. Most agents will want to try and charge you 3% – on an average £150,000 home this will cost you £4,500 so if you can reduce this by 1% then that will save £1,500. In most towns and high streets there are multiple agents, so just walk away from those unwilling to flexibility on their commission. Also, ensure you negotiate on the sale price not the valuation as this then gives the agent an incentive to try and increase the sale price. There is no legal requirement to use an estate agent – indeed about 3% of the UK market is self-sales. It is easy to get an idea of what the houses in your area are worth – check the land registry and look in local estate agents at similar properties. You can put your own board up and whip up some photos and descriptions, or you can use an online agent although make sure they advertise on the main property websites (Rightmove, Zoopla and Primelocation) – I have seen offers to do this from around £400. For more details on how to sell your own home see this article on the BBC business website. You are allowed to market your own property and use an estate agent although you must make sure that the agreement is water-tight as you do not want to be handing over money to an agent when you have been the one who has found the buyer. Try and avoid using a removals company – this is where friends and family can come to the rescue. Have a look out for second hand packing boxes and hire your own van – some ‘vans’ are the size of small lorries and don’t require a HGV license. If you are moving things yourself then buying an inexpensive platform truck will be a good investment and save you doing a lot of heavy lifting. Failing this a ‘man with a van’ will be a far cheaper option than a removals company, although probably not a good choice if you have a grand piano or an expensive porcelain collection! Car boots and garage sales are a win-win! You get to raise a bit of cash and you help reduce the amount of unnecessary clutter around the house – something you will be very grateful of when it comes to the moving day. When you move home you will have to face a barrage of new bills including gas, electrics, water, telephone, building and contents insurance. This is a good opportunity to visit a few price comparison websites and hammer out better deals than you are currently on. Most companies seem to value ‘new’ customers more than their existing ones so you should be able to take advantage of the very best offers. Here are some extra house moving tips that you may not have considered.